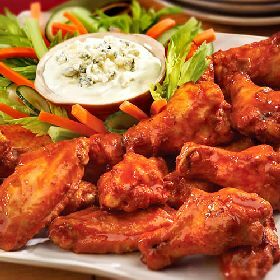 In a pan, fry chicken wings until they get golden brown. Mix hot sauce and melted butter and pour into deep pan or crock pot. Add chicken wings into sauce and heat.